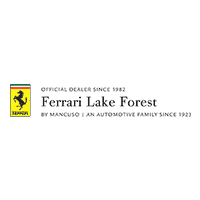 Thank you for visiting Ferrari Lake Forest, your Ferrari dealer near Chicago! We recently remodeled our Lake Bluff, IL facility, a tune-up that refined our 70,000 square foot location into a stunning automotive gallery, boutique, and service center. As one of Chicago’s nearest Ferrari dealerships, Ferrari Lake Forest offers one of the largest indoor displays of high-performance automotive fashion anywhere in the country. Our highly trained sales staff are here to make sure that your purchase experience is simple, satisfying, and most of all fun! More than your source for a new Ferrari near Chicago, Ferrari Lake Forest features an award-winning service and parts department whose sole goal is to make your after-sales experience flawless. We have been a Factory Authorized Dealer since 1981, so we’ve been doing this a while, and we know what’s important to our clients.